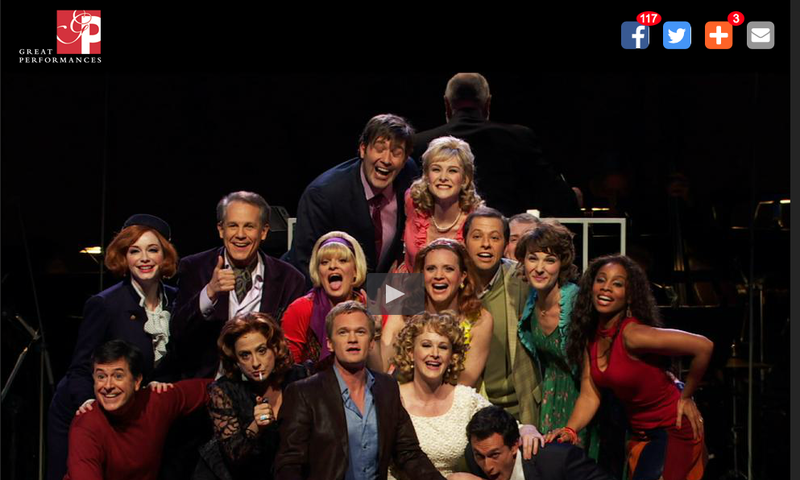 Stephen Sondheim’s “Company” with the New York Philharmonic. The opening number includes the entire all-star cast: Craig Bierko, Stephen Colbert, Jon Cryer, Katie Finneran, Neil Patrick Harris, Christina Hendricks, Adam Lazar, Patti LuPone, Jill Paice, Martha Plimpton, Anika Noni Rose, Jennifer Laura Thompson, Jim Walton, and Chryssie Whitehead. (Hot link to video below). Neil Patrick Harris has crossed off “host the Oscars” on his bucket list with today’s announcement he will do the honors in 2015. This gives us a perfect opportunity to post video of NPH in “Company” because we never want to miss a chance to feature him and Stephen Sondheim. NPH’s versatility is scary awesome and he should have no problem handling the honors. Is there anybody who doesn’t admire this guy? Click here to watch PBS’ “Great Performances” video of the opening number. But if you still need proof Harris has the chops to knock an opening number out of the park, check out my favorite NPH awards show this one at Radio City Music Hall from 2013 when he wowed some of the most talented actors in America. To hear NPH talk about his career with interviewer extraordinaire Terry Gross, click here.